We’re halfway through summer here in Charleston and things aren’t slowing down anytime soon! Next Friday, July 27th, we’re excited to sponsor our monthly Silent Disco with hosts The Quiet Kingz Headphone Events. This event is absolutely free and is first come, first serve! So get there early to grab your headphones! We’re also looking forward to participating in the 2018 Charleston Margarita Festival on Friday, August 3rd at 6PM! Tickets have already sold out, but we’re ready to shake up margs for those who snagged tickets early! The event will have over twenty of the best margaritas from Charleston’s hottest bars and restaurants for you to sip on as well as tasty bites to munch on. So get ready to sample margaritas, great food, beer and enjoy live music all with the awesome waterfront setting at downtown’s Brittlebank Park. Ready for a little margarita teaser? Our Charleston Beer Works Margarita will feature a Framboise Sour from Lowtide Brewing as part of the mix. We can’t wait to unveil this cocktail! BAZINGA! Mark your calendars for August 23rd and join us for a night of The Big Bang Theory themed trivia. Check in starts at 7:30 for teams of up to six people. Gift card prizes will be award to first, second and third place winners, so start binge watching and get your smart on! 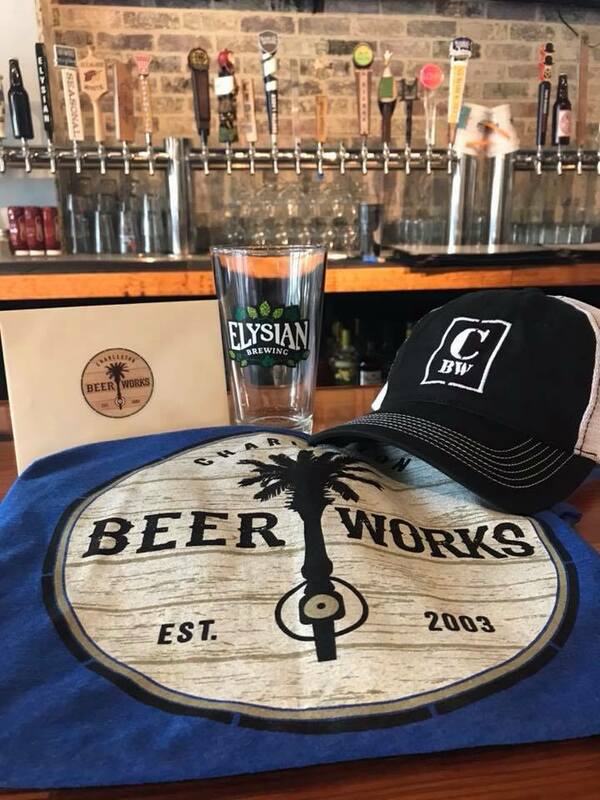 Don’t forget to check out this month’s Beer Gear Giveaway on our Facebook page for a chance to win some awesome Beer Gear Swag! And as always, keep an eye out on our Facebook, Instagram and Twitter for the latest updates, menu features, specials and live music announcements!